A day program for Senior that provides the elderly and other adults with services when their caregivers are at work or need relief. 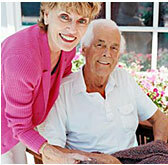 We provide daily care for Seniors. 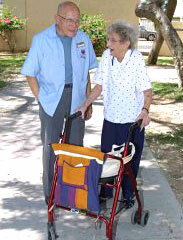 We pick Seniors up and bring them to our Day Care Facility and then back home FREE. Our Senior Health Day Care center designed to help participants develop well-being through social interaction and health care services. Our Adult Day Health Care center provides a safe and happy environment for older adults, healthy meals as well as nutritional snacks. Make Life more Happier for yourself and who you Love. What is your relationship to the senior? As you are concerned about the needs for your self, your parents, an aging spouse or family member our Senior Day Health Care could change your life. Complete the simple form below to request a confidential consultation regarding our Senior Day Health Care center today. Every day your loved one spends most of his or her day confined to the house because of mobility issues, chronic illness, or a disability? Wouldn't they be happier if they could get out of the house, meet new people, and have some fun experiences? Let us help your loved one get back into the world. Share their meals with friends instead of having to fix their own meals and eating alone. Our Senior Day Health Care services can provide much-needed support for families caring for elderly patients with dementia. Dementia actually refers to many different diseases, all of which have different deterioration rates and causes. 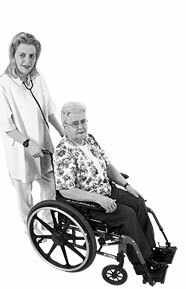 Good candidates for Our Senior Day Health Care people who have Alzheimer's or other mentally degenerative diseases, have suffered from strokes, cardiac disease or accidents, need aid with daily necessities and those with developmental disabilities. Other diseases that can either lead to or be mistaken for dementia are depression, nutritional deficiencies, head injuries, infections, drug reactions and thyroid problems. We take care of everything. All your loved one has to do is relax, enjoy themselves, and experience the company of other people who – like them– still have a lot they want to do. You'll find more information and a certificate for a free trial week at our center on the flyer accompanying this letter. Our Senior Day Health Care center designed to help participants develop well-being through social interaction and health care services. Our Senior Day Health Care center provides a safe and happy environment for older adults, healthy meals as well as nutritional snacks. Patients who are in the early stages of Alzheimer's. Copyright © 2007 AdultDayCare. All Rights Reserved.